Our first President – President Yvonne Merriman (pictured) – is due to step down on Independence Day, this Sunday 12th November, and the election process remains the same as last year – the title is being auctioned to the highest bidder on eBay. The appointment process chosen by the Republic of Wynnum is much simpler than presidential nominations and elections in other countries, and is designed to be significantly less expensive both for nominees and for the country. The office of President is currently being auctioned to the highest bidder via an eBay auction, which closes on Independence Day, Sunday 12th November at 12.00pm midday (QLD time). Bidding started at AUD$50.00 and the highest bidder will be appointed to the office. There are no qualifications or restrictions imposed upon the office holder, for example they are not required to be a current or previous resident of the Republic. They are not even required to be a current citizen of the Republic, although they will automatically become one upon taking office. Candidates with dual citizenship are welcome to apply. The office of President of the Republic of Wynnum has no executive power at all and no duties attached. 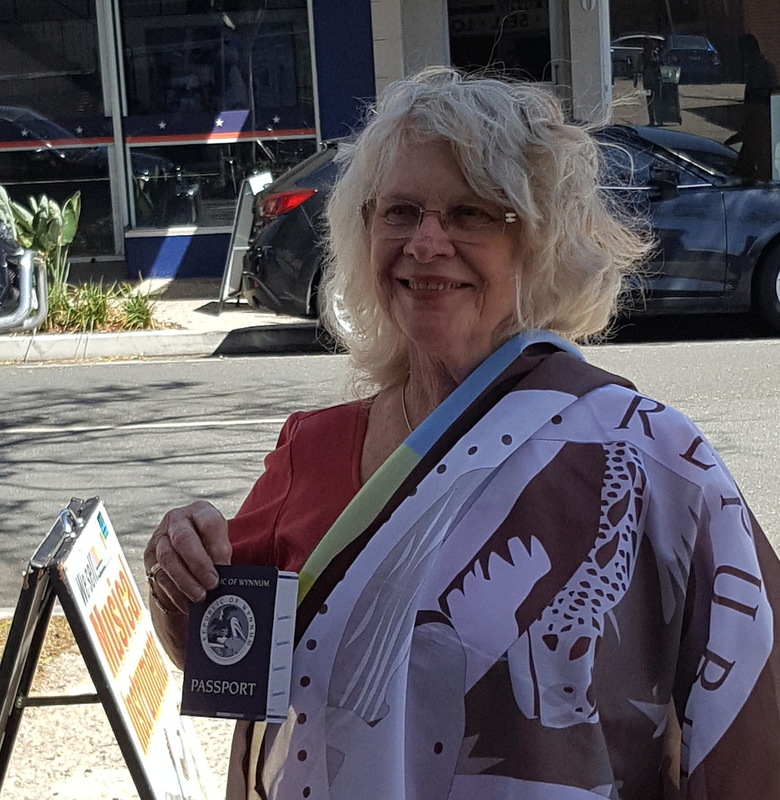 The President is able to call themselves ‘The President of the Republic of Wynnum’ and has access to the official flag of the Republic for official functions within the borders of the Republic (although no functions are arranged at this time). The office is held for a period of 12 months, at which point a new President is appointed using the same process. All funds from the auction go towards the betterment of the Republic of Wynnum. 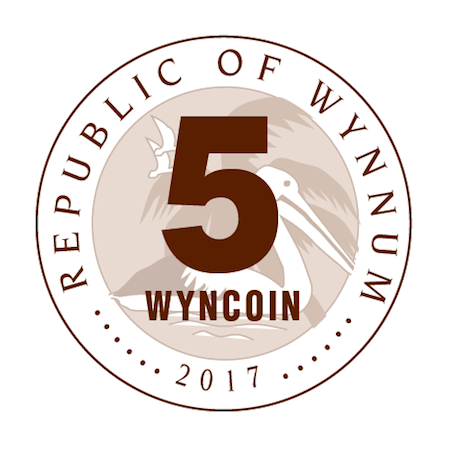 This year the Republic intends to strike its own coinage – the WYNCOIN (pictured right) – and the first issue will feature the image of the first President – Yvonne Merriman – on the reverse. The incoming President will have their image featured on the second issue of WYNCOIN. The Republic of Wynnum has a new President… John Shepherd of The Coffee Club in Wynnum. He succeeds our outgoing President Yvonne Merriman, who we thank for her year of service. John’s winning bid, against 22 other bids, was $207.50. We look forward to welcoming John to office and his presidential term. November 8, 2017 in Statements.